This Mother’s Day instead of only buying the typical flowers and jewelery try getting a gift that not only shows your love for the mother in your life, but also shows you care about others. 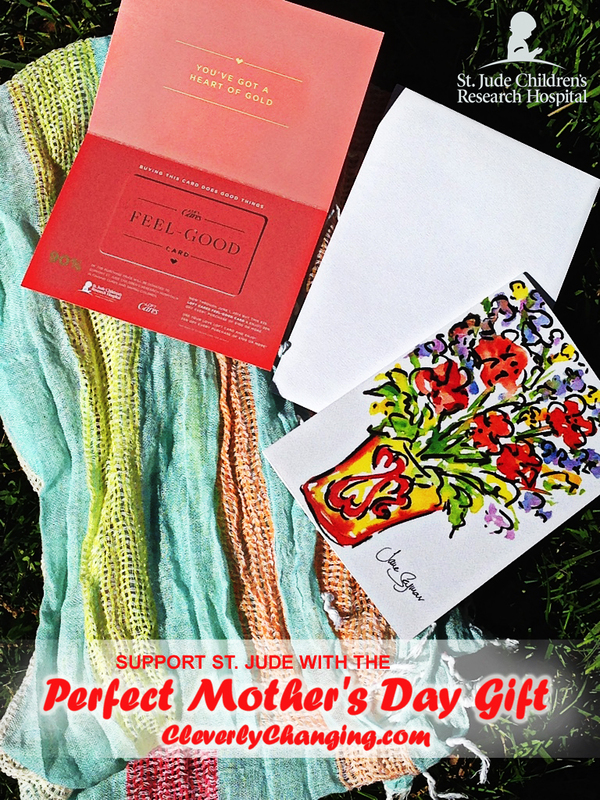 How Can Your Mother’s Day Gift Help Others? Use the card to take advantage of the great prices on pants, tops, dresses, skirts, shoes and accessories for your mom (or yourself). The LOFT also has some great items currently on sale. Since 2007, ANN INC. has raised more than $21 million through support of the St. Jude Thanks and Giving® campaign and the LOFT Mother’s Day campaign. 3. Give Mom, a Nine West Western Loop Scarf ($32), and St. Jude will receive $10 from each sell in-store and online through June 30, 2014. This scarf is a great addition to any Mother’s wardrobe and can be dressed up or down. There are 3 colors available Vanity Rose, Stonehenge Natural, and Blue Blazer each scarf is $32. All of The Jones Group, Inc., brands are also raising money for St. Jude by asking customers to donate $1 or more in stores. So far, The Jones Group, Inc. has raised more than $4.8 million for St. Jude. Below are some cute Loft looks paired with each of the Nine West Scarves. The daily operating cost for St. Jude is $1.9 million, so let’s help the hospital by purchasing these Mother’s Day gifts today! You can also enter to win these 3 gifts for a Mom in your life! Disclaimer: Cleverly Changing’s bloggers were not compensated for this post. All opinions are 100% our own. The prize will ship from Viva Veltoro.